It’s amazing what a bit of context can do to a piece of music. Take IBM 1401; A User’s Manual, the stand-alone piece that put Jóhann Jóhannsson on the map, sort of. Legend has it that the album is something of a generational hand-me-down. Comprised of taped archives that the Icelandic composer rediscovered in his later years, the legend says that the original computerized ambience is the result of Jóhannsson’s father acting out playful impulses on the framework of a late 1960’s computer, Jóhann Senior teaching the beast to electromagnetically transmit short melodies to radio receivers. With the knowledge of the elegiac nature of 1401, the sparse, Godspeed! You Black Emperor-style drone of the record feels somehow less obtuse and more disciplined, less immediately perplexing and a shade more welcoming when the listener imagines Jóhannsson weaving the innovative work of his deceased father into his modern art with care, preservation and reverence. While the work of a critic entails absorbing a given work in an information vacuum in order to maintain personal objectivity, we all know that context changes everything. The knowledge that The Theory of Everything score should be consumed alongside a specific succession of images makes assessing the piece on its autonomous merits a troubling task. However, listening to Jóhannsson’s score and grabbing contextual clues from the album’s song titles might save you the two-hour trudge through the Oscarbait for which the sprawling score was commissioned. The overblown, high-budget biopic that is The Theory of Everything is nowhere near Jóhannsson’s first film score, or even the Icelander’s first time working on an American blockbuster. Jóhannsson’s career has been defined by his melding of sounds to fit the personal visions of directors and others while still maintaining a distinct musical identity. This time around, Jóhannsson’s dashes of personal flavor are markedly ratcheted back; he doesn’t haul as much of his previous experimental electronic work to the table as he did in the haunting, industrial spurts scattered throughout the Prisoners soundtrack. The score isn’t a work of attrition in the same vein of Fordlandia and IBM. Ironic that Jóhannsson has left the slow-churning IBM synths at home to compose a score inspired by the life of the original King of the Vocoder, theoretical physicist Stephen Hawking. It’s obvious that Jóhannsson has been listening to a lot of classic film scores lately. Any film buff could instantly pick out strands of stylistic similarity to contemporary composers John Williams and Hans Zimmer in the sweeping yet hummable string arrangements of “Cambridge 1963” and “Rowing,” the baroque equivalent of a training montage. There’s even a splash of Danny Elfman-style quirk with the staccato violin plucks and chorus of mallet bells in “Camping.” “A Spacetime Singularity” sounds like the transcendence part in 2001: A Space Odyssey if the monolith was only a bit… friendlier. Jóhannsson has always had a knack for sonically painting the scenarios dictated by his titles, and the listener can vividly imagine the scene conjured in a “A Game of Croquet;” from the ornate, antiquated architecture of The University of Cambridge’s administrative buildings and the pressed white clothes of passing students, to the breeze running through the hair of a brilliant young man whose body is rapidly deteriorating. The Theory of Everything score is a work of beauty. It’s massive and intricately layered and thematically consistent. It’s also kind of predictable and occasionally boring when it means to sound tranquil and lush. Aside from prudent classical music enthusiasts, anyone who has ever seen a high-budget American film will hear nothing new or notable within the confines of Everything. This is not to say that the score doesn’t work, because it obviously does. It might not work as an album to listened to from front to back, but that’s not really what it was designed to be. 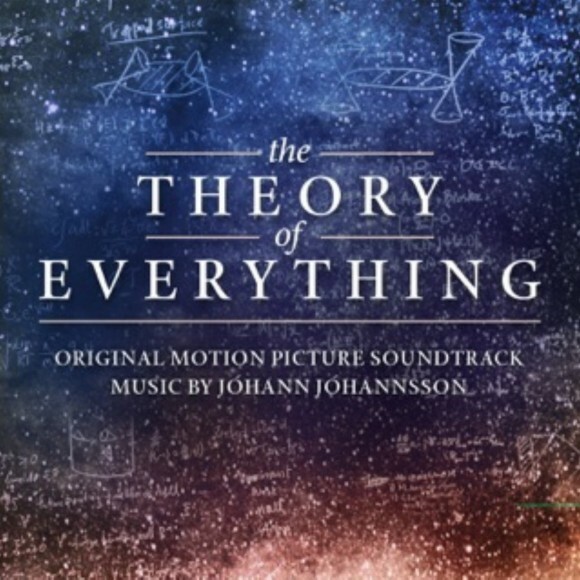 No one with half a brain harbors any real fear that Jóhannsson the eternally undefinable oddball will cease production of interesting music in the name of a fat paycheck, but The Theory of Everything soundtrack could have certainly benefited from his special blend of mold-breaking starkness.